Say what you will about Jeremy Clarkson nowadays. He’s too bombastic, too silly, too formulaic – but it’s a formula that works. If you don’t believe me, just watch his very first Top Gear appearance, and watch his own face as he sees it. Fair warning, the clip from the original show is deeply strange. 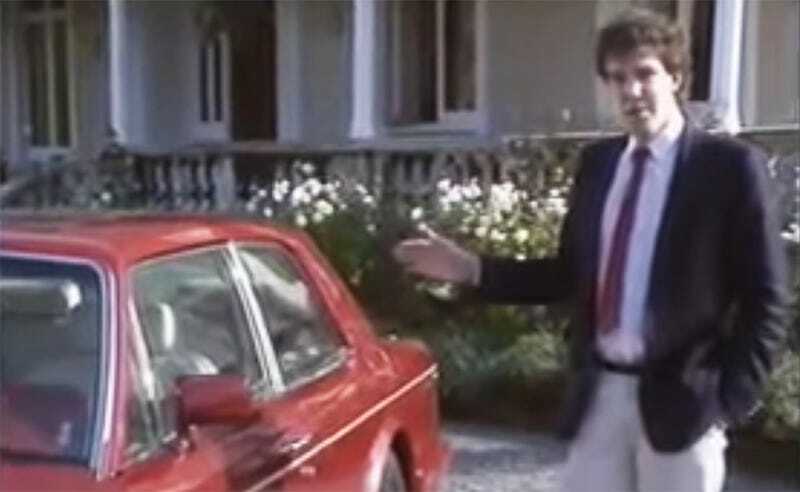 Forget the car for a second, which is a very nice big maroon Bentley, and just look at Clarkson circa 1988. He’s wearing a tie and pleated khakis for crying out loud. He’s got a bizarre, affected upper crusty English accent, one that tried to rather poorly cover up his own Yorkshire manner of speech. He also helpfully explains that a two-door car has, in fact, just two doors. Luckily, the phase didn’t last, and soon he had a monumental afro and a disturbing leather jacket. Whatever, at least it’s better than dad jeans and an unusual number of bracelets.